In the UK there is currently no routine screening programme offered by the NHS for ovarian cancer - even for those who fall into high risk categories. The UK Familial Ovarian Cancer Screening study (UKFOCSS), led by University College London (UCL) and co-funded by The Eve Appeal screened high risk women by means of a CA125 blood test every 4 months and a transvaginal ultrasound scan once a year. CA125 is a protein that is found in the blood and can indicate the presence of ovarian cancer. However, many other (non-cancer) conditions, such as IBS, endometriosis and ovarian cysts, can also cause your CA125 level to rise. The CA125 test was analysed using a complex maths algorithm called ROCA (Risk of Ovarian Cancer Algorithm). The results suggested four monthly screening with the Risk of Ovarian Cancer Algorithm (ROCA) may be helpful for high-risk women until they decide to undergo surgery. Read our overview and results of the UKFOCSS Study. The NHS currently doesn’t offer ovarian cancer screening for high risk women. It remains uncertain whether detecting ovarian cancer by screening will saves lives. Women (at lower risk) who underwent screening in the national UKCTOCS ovarian cancer screening study are currently being followed up to ascertain whether screening will saves lives. For women at high risk, the current medical advice is to have their ovaries and fallopian tubes removed after having completed their families. However, a number of women may delay or decide against having the surgery. Much research is being done as to improving the efficacy of screening and The Eve Appeal is funding this ground breaking research. Women in the UK are not routinely offered a full hysterectomy (removal of the womb) as well as removal of tubes and ovaries as a means of risk reduction for a BRCA1/2 mutation. This may however be undertaken if there were other underlying beneficial reasons to do so. This operation for surgical prevention is offered to women who have completed their family from the age 35 – 40 years in BRCA1 mutation carriers and from 40 – 45 years for BRCA2 mutation carriers. There is increasing evidence that many epithelial ovarian cancers start in the fallopian tubes and so risk reducing early salpingectomy with delayed oophorectomy (RRESDO) has been suggested as an alternative to the current standard surgery (RRSO). It has the advantage of providing some level of protection against ovarian cancer to women who do not wish to undergo RRSO whilst at the same time preserving their ovaries and avoiding detrimental health consequences and symptoms of early menopause. However, the exact level of protection against ovarian cancer is unknown. The long term consequences the removal of fallopian tubes may have on the functioning of the ovaries are also not known. In addition, concern has been expressed whether all women who have the initial surgery (removal of the fallopian tubes) will go on to have their ovaries removed. A proportion of women who do not undergo this may develop ovarian cancer. Therefore, RRESDO in increased risk women should only be currently offered in the safe environment of a clinical trial. Trials are currently underway in the Netherlands, France, and USA. A national study in the UK called PROTECTOR (PReventing Ovarian cancer Through early ExCision of Tubes and late Ovarian Removal) is expected to commence in the next few months. The PROTECTOR research team is interested in comparing outcomes from early salpingectomy (removal of tubes alone) with the standard operation of removal of tubes and ovaries as well as with the option of doing nothing. Should you wish to take part in PROTECTOR, please get in touch with the research team. The criteria for taking part and the contact details of the research team can be found here. Following a Risk Reducing Salpingo Oophorectomy (removal of both tubes and ovaries) a premenopausal woman will go straight into surgical menopause. This early menopause is associated with symptoms like hot flushes, sweats, mood swings, reduced libido, an increased risk of heart disease, thinning of the bones (osteoporosis) and neurological consequences. Hormone Replacement Therapy (HRT) use is important to combat the symptoms of the menopause, minimise the detrimental consequences and protect their heart and bones. These unfavourable health outcomes occur largely in women who don’t or are unable to take HRT. However, a number of women who have had a prior diagnosis of breast cancer may not be able to take HRT. There are alternative non-hormonal options that can be tried but they are not as effective as HRT. Your medical team will be able to answer your questions about HRT use and you may be able to ask for a referral to a specialist menopause clinic for advice. These are some of the symptoms of menopause: not every woman will experience these. To discuss your individual concerns, please contact the Ask Eve Specialist Nurse. 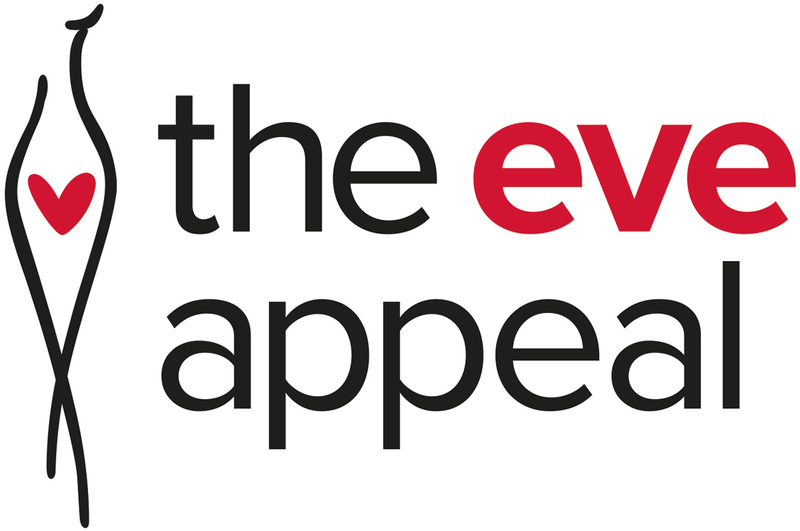 BRCA Protect is a ground-breaking research programme at University College London, funded by The Eve Appeal. The aim of the programme is to understand the molecular events that lead to the development of breast and ovarian cancer so that medical professionals can predict and ultimately prevent the occurrence of these cancers. They hope to develop new preventative measures that will enable women to reduce their risk of cancer without the need for surgery, thereby extending the range of options available to women of all ages. The clinic is looking for women to take part in the research – if you are interested in being part of this ground-breaking research, please see the criteria for taking part.